Adopting their daily habits might make you more productive. Several years just flew by and there’s even fewer days left to live for—does it feel like you’re falling further and further behind your goals? Unfinished and half-baked work, mindless wasteful time spent on the internet and never following through on what you set out to do everyday. It’s a struggle. A painful struggle to do better but always, somehow still falling behind in our daily routine. Maybe, you feel like you can do so much better, you know deep down inside that you can share so much more with the world. I also share this struggle with you. We watch those with natural talent and genius realize their potential and share great work with the world. We secretly wish we were born like them and wonder if by some miracle, we could possibly perform at their level and create great work—but how will we ever know if we don’t first realize our own potential? And is there a way for you to unleash this hidden potential—if so how can you do this effectively? Yes, the top one percent of performers in any field are usually born with natural talent but, that’s only one half the equation. When we study them carefully, we notice a common pattern across board—an incredibly efficient daily routine that keeps them miles ahead of the pack throughout their lifetime. As you read the rest of this article, you will discover and uncover the best daily routines of some of the most famous writers that have ever existed. You will learn how you can develop and use these routines in your own life to make steady progress everyday and consistently follow through on what you set out to do. At the end of this article, there’s a quick summary of the key common traits and practical takeaways from these famous writers, if you’re strapped for time you can bookmark this page to read later and skip straight to these bite-sized strategies. Best-selling thriller writer, Stephen King, has penned over 50 novels and sold over 350 million copies in a career that spans over 40 years. In an interview with Game Of Thrones Author, George R.R. Martin, Martin asks Stephen King how he writes so fast and gets so much work done. Martin: How the [email protected]!% do you write so many books so fast? I think, “Oh, I’ve had a really good six months, I’ve finished three chapters.” And you’ve finished three books in that time. King: Here’s the thing, okay? There are books, and there are books. The way that I work, I try to get out there and I try to get six pages a day. So, with a book like End of Watch, and … when I’m working I work every day–three, four hours, and I try to get those six pages, and I try to get them fairly clean. So if the manuscript is, let’s say, 360 pages long, that’s basically two months work. … But that’s assuming it goes well. Martin: And you do hit six pages a day? Martin: You don’t ever have a day where you sit down there and it’s like constipation? And you write a sentence and you hate the sentence, and you check your email and you wonder if you had any talent after all? And maybe you should have been a plumber? (Laughs) Don’t you have days like that? King: No. I mean, there’s real life, I could be working away, and something comes up and you have to get up … but mostly I try to get the six pages in. In her 1977 diary, Susan Sontag, critical essayist, novelist and writer of ‘On Photography,’ reveals her private resolutions that helped her stick to her daily writing habits. I will tell people not to call in the morning, or not answer the phone. Auden rose shortly after 6:00 a.m., made himself coffee, and settled down to work quickly, perhaps after taking a first pass at the crossword. His mind was sharpest from 7:00 until 11:30 a.m., and he rarely failed to take advantage of these hours. (He was dismissive of night owls: “Only the ‘Hitlers of the world’ work at night; no honest artist does.”) Auden usually resumed his work after lunch and continued into the late afternoon. Cocktail hour began at 6:30 sharp, with the poet mixing himself and any guests several strong vodka martinis. Then dinner was served, with copious amounts of wine, followed by more wine and conversation. Auden went to bed early, never later than 11:00 and, as he grew older, closer to 9:30. When I am working on a book or a story I write every morning as soon after first light as possible. There is no one to disturb you and it is cool or cold and you come to your work and warm as you write. You read what you have written and, as you always stop when you know what is going to happen next, you go on from there. You write until you come to a place where you still have your juice and know what will happen next and you stop and try to live through until the next day when you hit it again. You have started at six in the morning, say, and may go on until noon or be through before that. Maya Angelou was a writer, poet, civil rights activist and award-winning author known for her acclaimed memoir, I Know Why the Caged Bird Sings, which made literary history as the first nonfiction best-seller by an African-American woman. In the book, Daily Rituals (audiobook), Angelou describes her daily routine and schedule in detail from morning till night. I usually get up at about 5:30, and I’m ready to have coffee by 6, usually with my husband. He goes off to his work around 6:30, and I go off to mine. I keep a hotel room in which I do my work—a tiny, mean room with just a bed, and sometimes, if I can find it, a face basin. I keep a dictionary, a Bible, a deck of cards and a bottle of sherry in the room. I try to get there around 7, and I work until 2 in the afternoon. If the work is going badly, I stay until 12:30. If it’s going well, I’ll stay as long as it’s going well. It’s lonely, and it’s marvelous. I edit while I’m working. When I come home at 2, I read over what I’ve written that day, and then try to put it out of my mind. I shower, prepare dinner, so that when my husband comes home, I’m not totally absorbed in my work. We have a semblance of a normal life. We have a drink together and have dinner. Maybe after dinner I’ll read to him what I’ve written that day. He doesn’t comment. I don’t invite comments from anyone but my editor, but hearing it aloud is good. Sometimes I hear the dissonance; then I try to straighten it out in the morning. In 1965, Kurt Vonnegut, famous American Author known for novel, Slaughterhouse-five, wrote a letter to his wife, Jane, where he reveals his morning routine and daily writing habits. I awake at 5:30, work until 8:00, eat breakfast at home, work until 10:00, walk a few blocks into town, do errands, go to the nearby municipal swimming pool, which I have all to myself, and swim for half an hour, return home at 11:45, read the mail, eat lunch at noon. In the afternoon I do schoolwork, either teach of prepare. Now let me give you the benefit of my experience in facing 400 pages of blank stock—the appalling stuff that must be filled. I know that no one really wants the benefit of anyone’s experience which is probably why it is so freely offered. But the following are some of the things I have had to do to keep from going nuts. 1. Abandon the idea that you are ever going to finish. Lose track of the 400 pages and write just one page for each day; it helps. Then when it gets finished, you are always surprised. 3. Forget your generalized audience. In the first place, the nameless, faceless audience will scare you to death and in the second place, unlike the theatre, it doesn’t exist. In writing, your audience is one single reader. I have found that sometimes it helps to pick out one person—a real person you know, or an imagined person and write to that one. In a 2001 keynote address, Ray Bradbury, fantasy and horror author best known for his novel Fahrenheit 451, shared stories and crucial lessons from his writing life on how to hone ones craft. In a 1994 Paris Review interview, Alice Munro, Nobel prize winner and critically well-regarded Canadian short-story writer shares her daily work habits and goal setting strategies. I write every morning, seven days a week. I write starting about eight o’clock and finish around eleven….I am so compulsive that I have a quota of pages. I’m also compulsive now about how much I walk every day…. Three miles every day, so if I know I’m going to miss a day, I have to make it up. I watched my father go through this same thing. You protect yourself by thinking if you have all these rituals and routines then nothing can get you. In a 1965 Paris Review interview, Simone de Beauvoir, French writer, intellectual and existentialist philosopher, shares her strategy for work-life balance in her daily routine. In a 1994 Paris Review interview, John Updike, one of only three writers to win the Pulitzer Prize for Fiction more than once, shares some tips on how to stay motivated even when you get bored doing work. I write every weekday morning. I try to vary what I am doing, and my verse, or poetry, is a help here. Embarked on a long project, I try to stay with it even on dull days. In 1932, the famous writer and painter, Henry Miller, reveals his “11 commandments” that helped him stick to his work schedule and daily routine for many years. Below are even more famous daily rituals and routines from the book, Daily Rituals: How Great Minds Make Time, Find Inspiration, and Get to Work (Audiobook). Russian author, master of realistic fiction and one of the world’s greatest novelists to ever live, best known for his work, War and Peace, shares his strategy on how to finally stick to your goals even if you don’t feel like doing anything. World renown Novelist and journalist, best known for The Adventures of Tom Sawyer (1876) and Adventures of Huckleberry Finn (1885) on how to find your own style of working daily. Famous English novelist, widely considered as the greatest of the Victorian era. His best work includes such A Christmas Carol and A Tale of Two Cities. Below you’ll learn his daily routine and weird habits to refocus and generate new creative ideas. English novelist, best known for penning the popular novels, Pride and Prejudice and Sense and Sensibility, shares her strategy for eliminating distractions and staying focused on the work in front of you. In a 1975 interview, Pulitzer Prize Winner, Bernard Malamud, one of the most prominent figures in Jewish American literature, sums up the truth behind finding your perfect daily routine. You write by sitting down and writing. There’s no particular time or place – you suit yourself, your nature… Eventually everyone learns his or her own best way. Whether you’re an aspiring writer looking to publish the next world renown novel, an entrepreneur striving to be the next Steve Jobs or an ambitious professional looking to reach the top of your field—here’s how you can apply these daily routines for better mental and physical habits for success. Leon Tolstoy made a firm committment to do something everyday, “I must write each day without fail, not so much for the success of the work, as in order not to get out of my routine”. 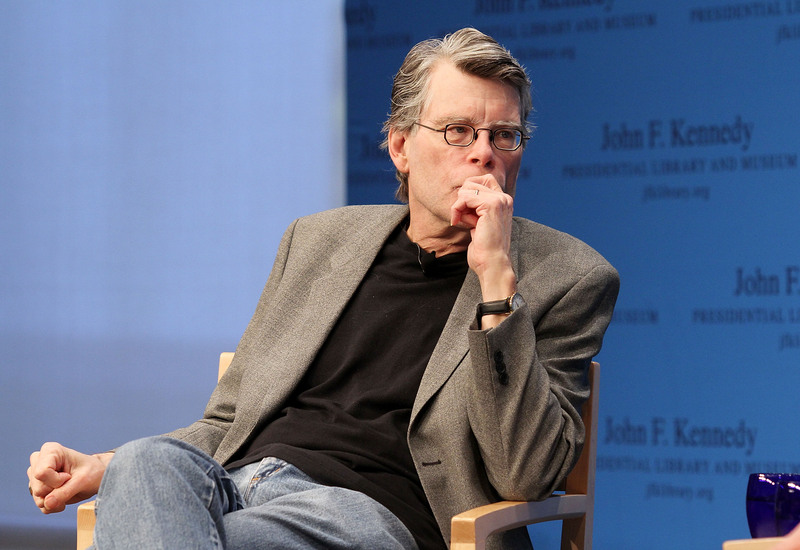 Stephen King writes 6 pages and over 1000 words a day. By being consistent every day or at least every other day, the pressure to create perfect work will be alleviated—because you know it’s just another day’s work. Don’t put too much pressure on the final outcome, just make a committment in writing and focus on working on your craft daily. 2. Tackle your most important thing first—in a workspace with minimal distractions. There’s an interesting pattern in the daily routines of these famous writers. First, they all wake up relatively early in the morning, but, even more fascinating is that they block out the first three to seven hours of the day for focused, distraction free work. Maya Angelou, for example, blocks out a time window from 7 a.m till 2 p.m to work productively before her day gets chaotic. Jane Austen asked that a certain squeaky hinge never be oiled, so that she always had a warning when someone was approaching the room where she was working and avoid distractions. Rumour has it, that the Iconic writer at the centre of the Harlem Renaissance, Zora Neale Hurston, hired a man whose only job was to plug her ears while she typed to keep her environment quiet. Either way, do whatever it takes to do the most important thing first and keep away from distraction. Hide your phone, lock yourself in an internet free room, drive to a local library—do whatever it takes to get in that zone. This way you can avoid wasting your best hours of high energy, concentration and willpower on unproductive phone browsing and internet surfing. 3. Physically prepare yourself for the mental battle ahead. Everyday, Murakami runs for 10 kilometers or swims for 1500m (or both) everday—in his words : “Physical strength is as necessary as artistic sensitivity”. Vonnegut did push ups and situps as a break from his writing routine. It’s like survival training in preparation for a battle. The battle that takes place in our mind daily—the attachment to our work, an unwillingless to make necessary adjustments or the fear that people will laugh and think your work is stupid. Find a physical activity that you can consistently stick to and push yourself outside your comfort zone with. This will help prepare you to aggressively and productively tackle the long hours of work or possibly rejection ahead of you. 4. Create a daily quota to meet. Anthony Trollope describes his daily quota from his routine, “I write with my watch before me, to require of myself 250 words every quarter of an hour. I have found that the 250 words have been forthcoming as regularly as my watch went..” Alice Munro also held a strict daily quota to complete everyday. Whatever number you choose, as with any big goal, it helps to break it down into manageable chunks. Again, the most important thing to focus on is not the volume of work, but the consistency of work—500 words only takes half an hour a day but over a year that’s approximately 182,500 words—the equivalent of 2 novels. 5. Take breaks at regular intervals. Charles Dickens famously took three-hour walks every afternoon — and what he observed during them fed directly into his writing. Likewise, Alice Munro walks for three miles everyday to clear her head. Taking some time off—from a few minutes up to an hour or more a day, can help you regain your energy and reveal new creative ideas for your work. In the end, you are unique and there is no particular daily routine that will be a perfect fit for you. Experiment and stick to a strategy that works best for you. But, it won’t be easy. Especially in the beginning, it can be a real struggle to stick with your new habits and avoid falling back to your old habits. No matter how little progress you feel you’ve made so far, stick to something everyday and that tiny brick you lay today will one day become thousands of bricks—a castle. Mayo Oshin writes at MayoOshin.com, where he shares practical self-improvement ideas and proven science for better health, productivity and creativity. To get practical ideas for better habits, you can join his free weekly newsletter here. Free Bonus: In this article we’ve covered the daily routines of famous writers, but many authors are known (though not that widely) to have quite interesting quirks as well as some downright strange habits. Some of these habits are directly connected to their work, while others are just things that these writers are used to doing on a regular basis. Here’s a free infographic of 20 famous writers and their strange habits. Credit to CW for this. Change Your Habits: The Science of How to Build Good Habits that Stick and Break Bad Ones. 1.Credit to BrainPickings, OpenCulture and Mason Currey, who brought these stories to my attention.